Why bridesmaids wear the same dress and should they really? 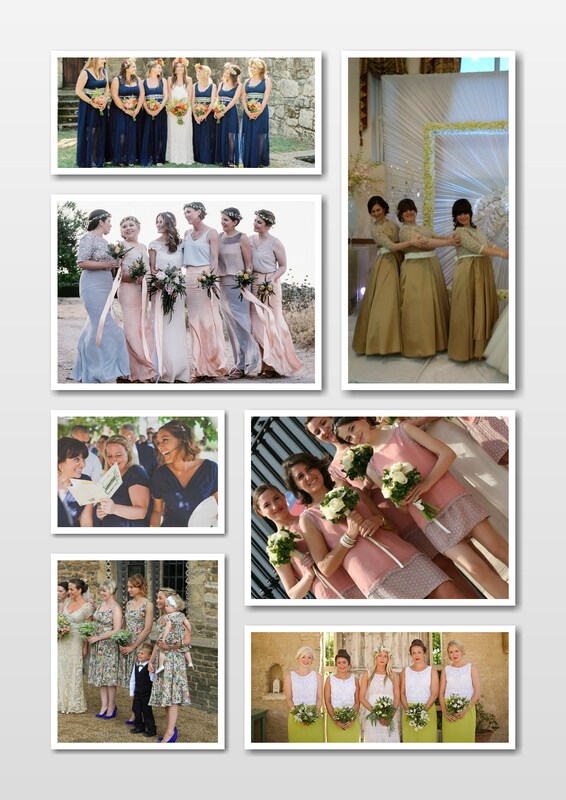 Traditionally, bridesmaids will wear identical or matching outfits, but have you wondered why? The concept comes from ancient Roman times and its purpose was to cause confusion. At the time bridesmaids would not just match with each other but also with the bride. The Romans believed that such happy occasions can attract evil spirits or angry would-be grooms turned away by the bride. So to keep the couple safe their closest friends dressed in matching attire and followed them until the vows were exchanged. Things start to change in the Victorian era, when brides Although the idea of matching bridesmaids lives on. Should bridesmaids wear the same? This would depend on your wedding concept and the look you would like to achieve - traditional, uniform look, or the more contemporary, mismatched approach. Often wearing the same dress can result in some bridesmaids feeling uncomfortable for not suiting everyone’s body shape. We all come in different shapes and sizes and it may be easier to just follow a certain colour scheme, aim for a certain material and have different designs that would make everyone feel unique, special and comfortable.